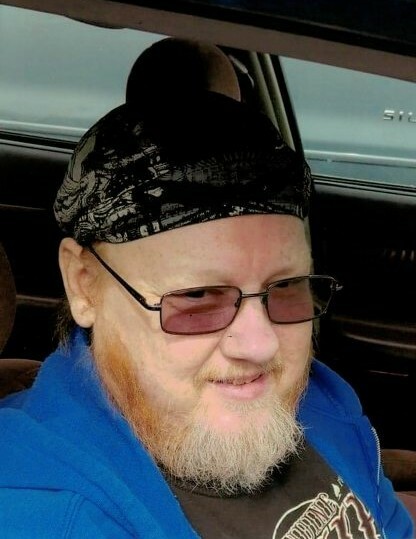 Randall Lee Randy Henderson, 57, of Asheville, NC passed away Saturday, November 24, 2018 at the John F Keever Solace Center in Asheville, NC. Randall is preceded in death by his parents: Roy Thurman Henderson Jr. and Eva Lucille Matthews. He loved to ride his motorcycles and to work on motorcycles and automobiles. Surviving Randall is his brother, Roy Henderson (Lawanna) of Asheville, NC; sister, Elizabeth Henderson (Scott) of Asheville, NC; nephews: Roy Evans of Asheville, NC, Daniel Henderson, of Asheville, NC, Jeremy Martinez (Leah) of Flowery Branch, GA, Matthew Martinez (Stephanie) of Asheville, NC; nieces: Brandy Martinez, of Asheville, NC, and Ashely Johnson, of Flowery Branch, GA. nephew Larry Hawkins Asheville N.C. niece Jennifer Hawkins Asheville N.C. niece Dawn Hawkins Asheville N.C.
A memorial service will be held Saturday, December 1, 2018 at 2:00 PM at the chapel of Asheville Area Alternative Funeral & Cremation Services. A special thanks to Roy Evans for speaking at the service.